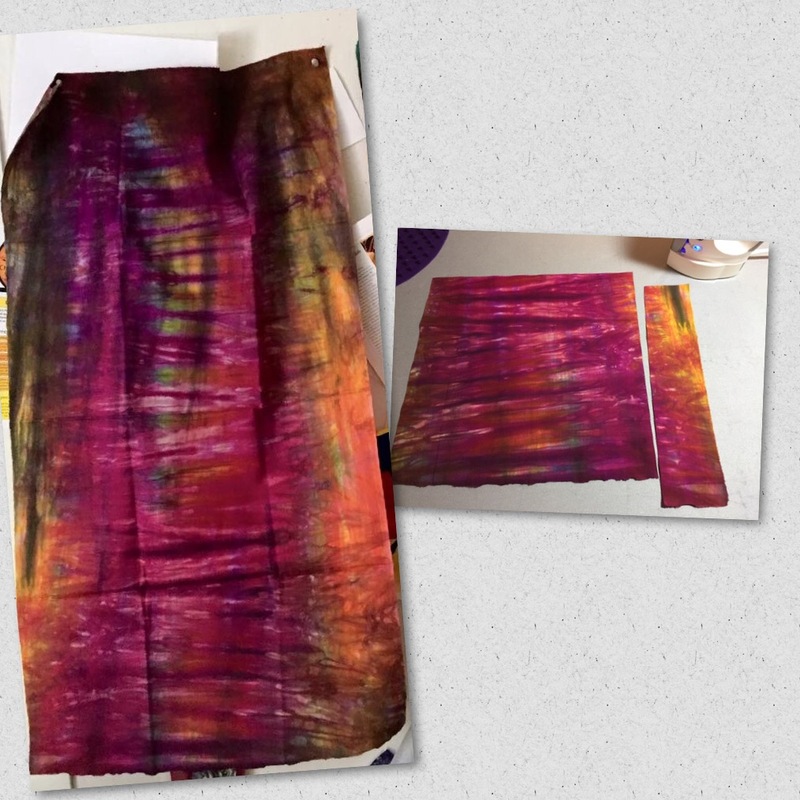 First step, MistyFuse all fabrics. 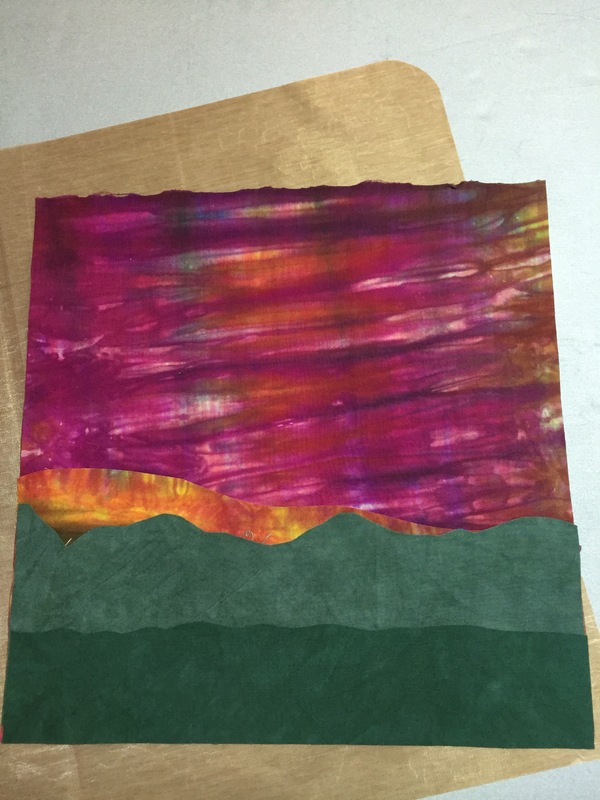 Then, step back and take a look at this shibori piece…where do you see the sunset? 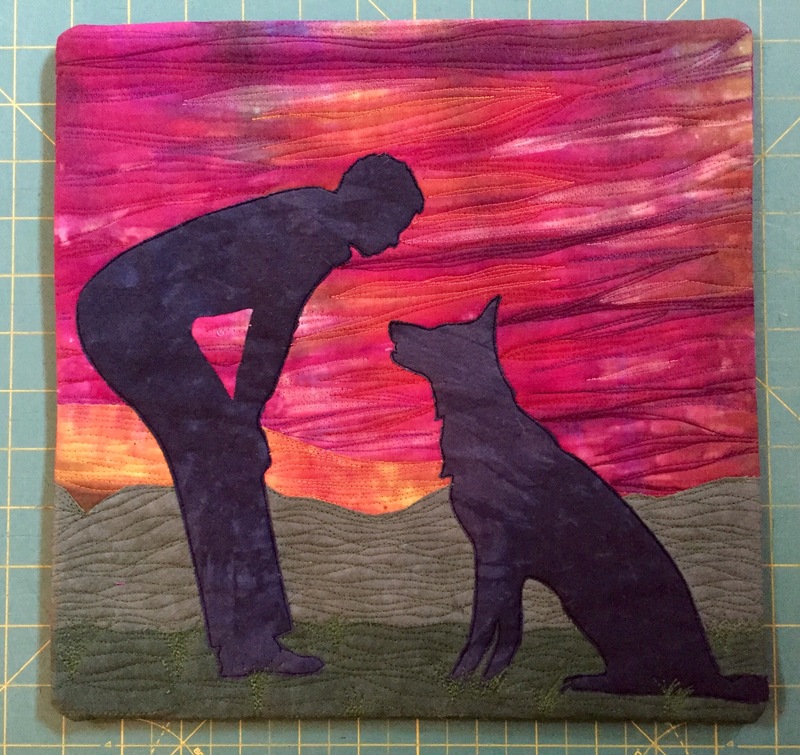 I selected a piece roughly 13″ by 13″ (finished quilt requirement is 12″ square) and a slice that looked like the brighter light near the horizon at sunset. Using a rotary cutter, I sliced a background and foreground piece from my greens. Landscape done, now for the main characters. 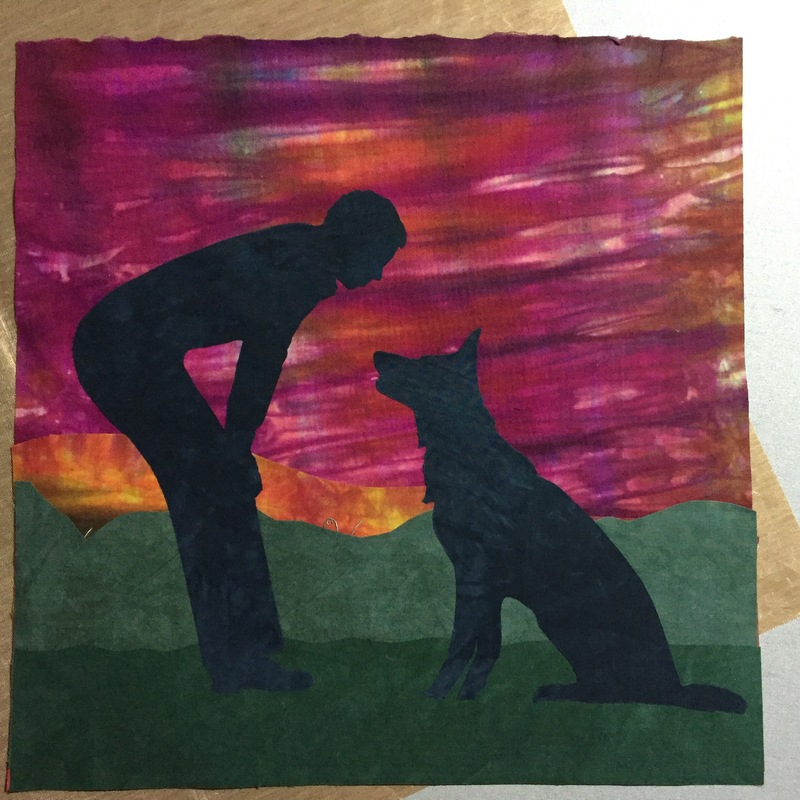 I enlarged a lovely shot that showed a person and dog in silhouette…traced into freezer paper…pressed to the dark grey fabric…and cut out very very carefully…positioned onto the background…and fused. I am a huge fan of high-sheen polyester thread for many pieces, but I didn’t want too many distractions here…so I turned to one of the Aurifil boxes in my stash for a slightly more understated way to add texture and color. Layered up and ready for very simple quilting! 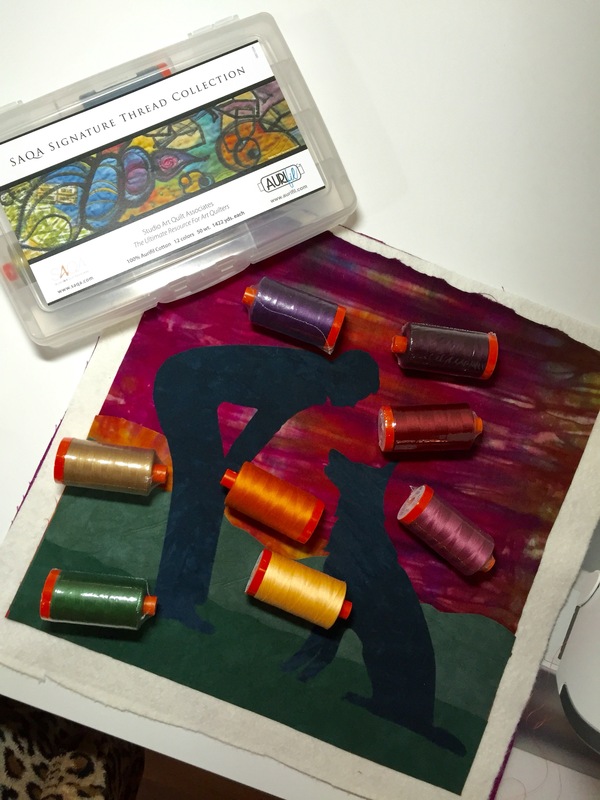 I simply followed the lines of the colors in the “sunset,” echoed the pattern in the greens, then turned the stitch size down and very carefully traced the edges of the figures with black Aurifil. Facing on and set for the SAQA benefit auction :). This entry was posted in Uncategorized on March 20, 2016 by neonkittyquilts.